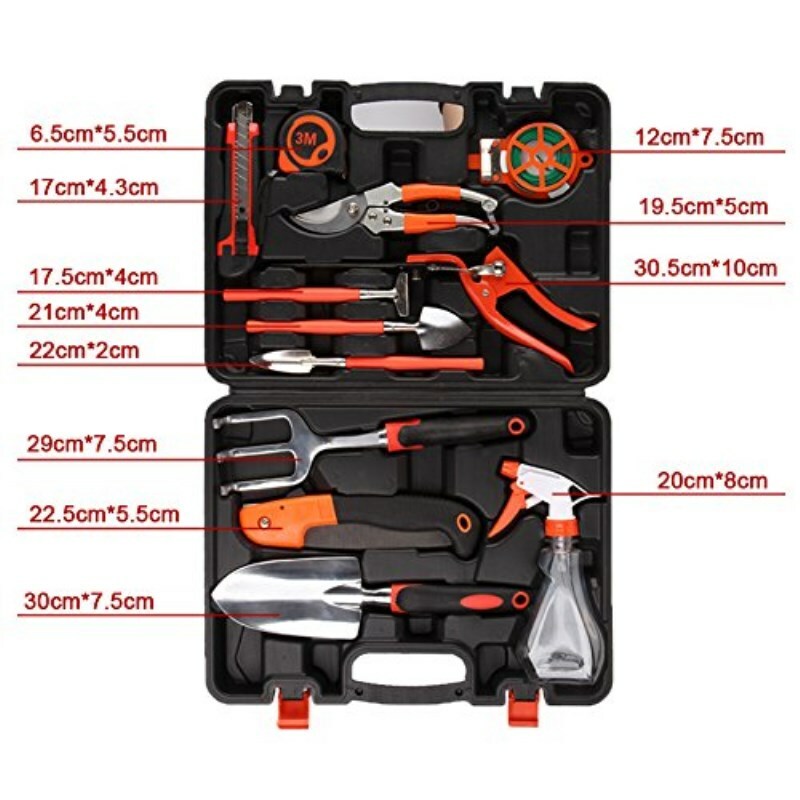 【12-Piece Set】: Gardening tools set with 12 pieces kits, including Secateurs, Trowel Pruners, Pruning Saw and Rake. 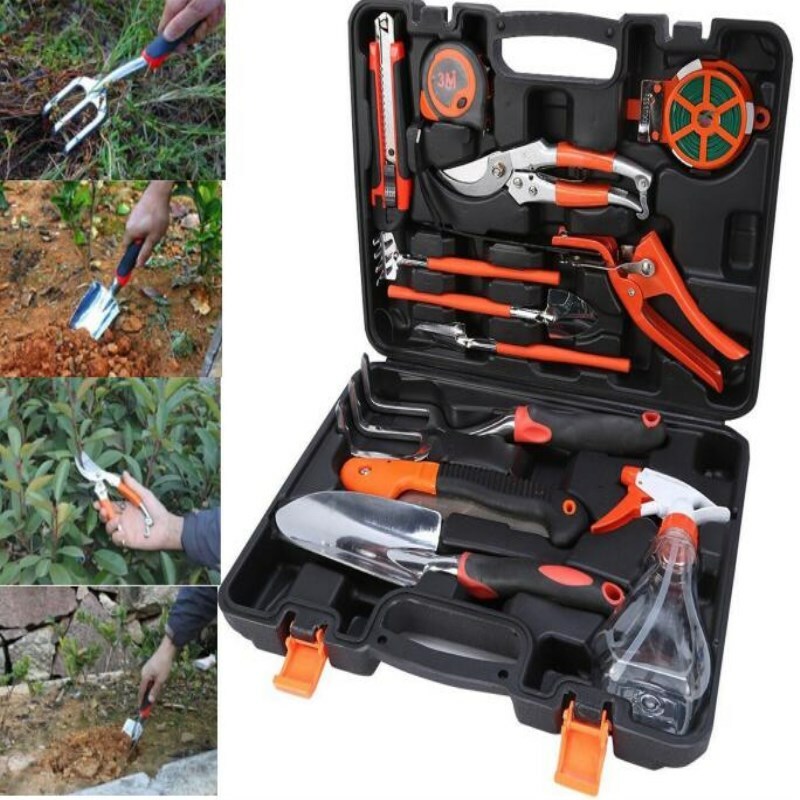 Works well on weeding, digging, transplanting, watering, pruning, loosening the soil and etc. 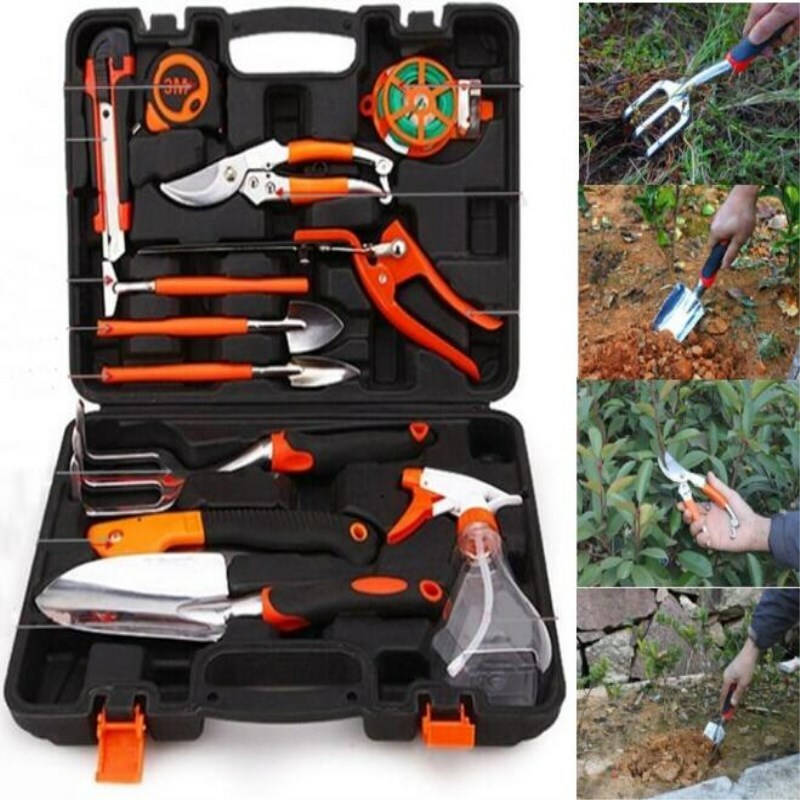 【Ergonomic Handles】: These garden tool handles come with ergonomic and soft-grip design,which reduce hand and arm fatigue, working perfectly for improving efficence in your garden. 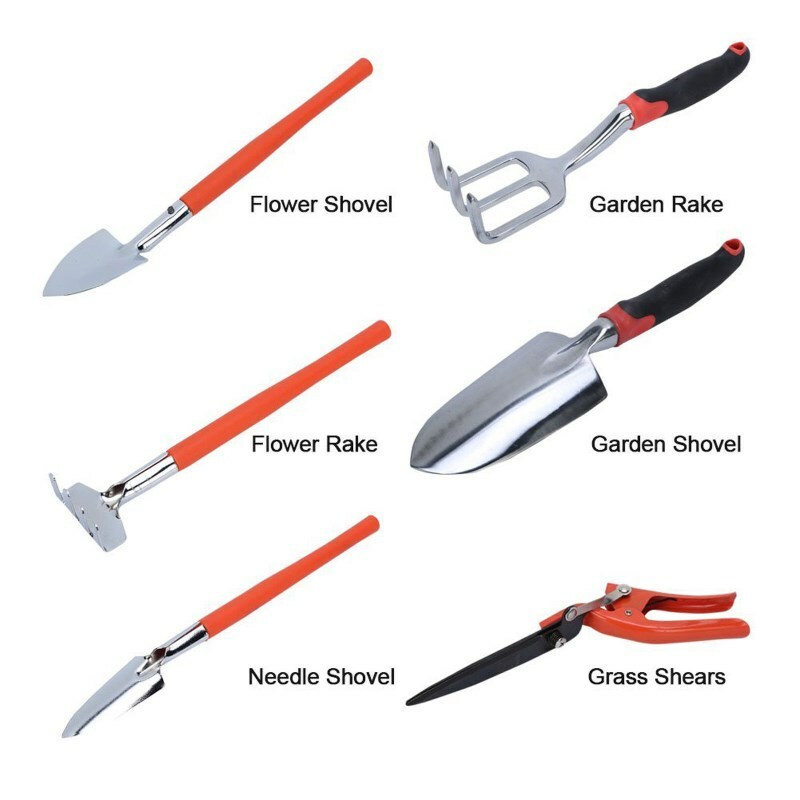 【Stainless & Strong】: Made of stainless steel materials,all the metal gardening tools are rust-proof and fairly sturdy to use. 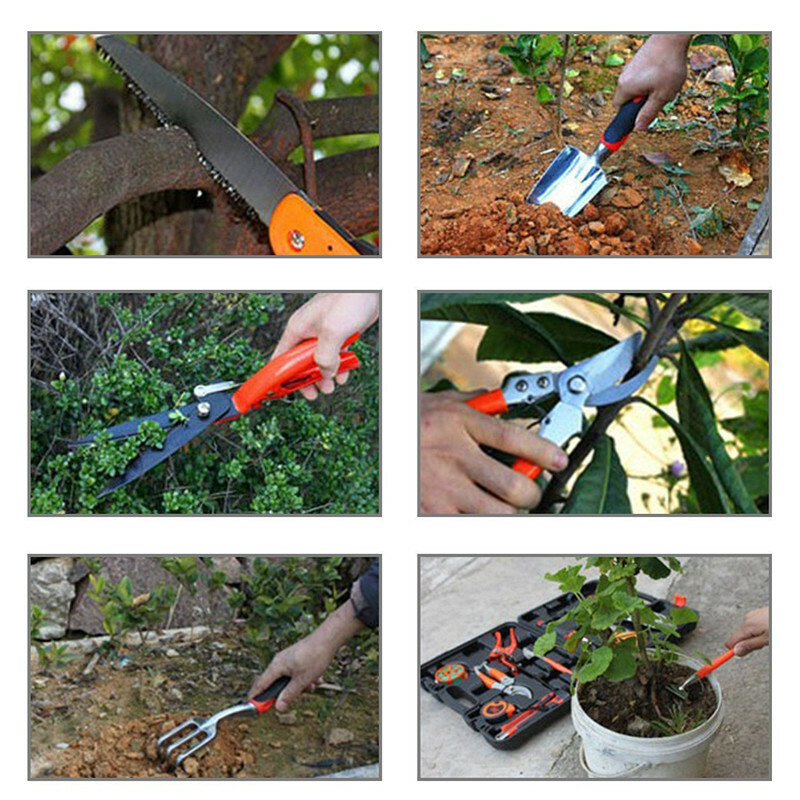 【Flexible & Convenient】: A hole on the top of each handle for clutter-free storage, easy to hang and single use. 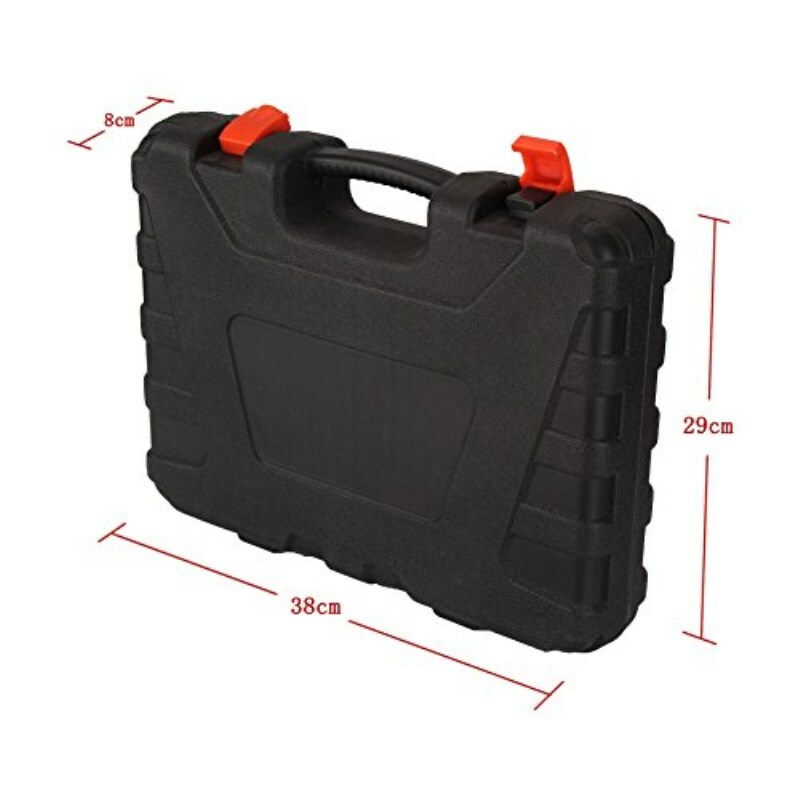 【Portable】: Comes with a fantastic tool carrying case, portable to carry as well as easy for storage and transportation. 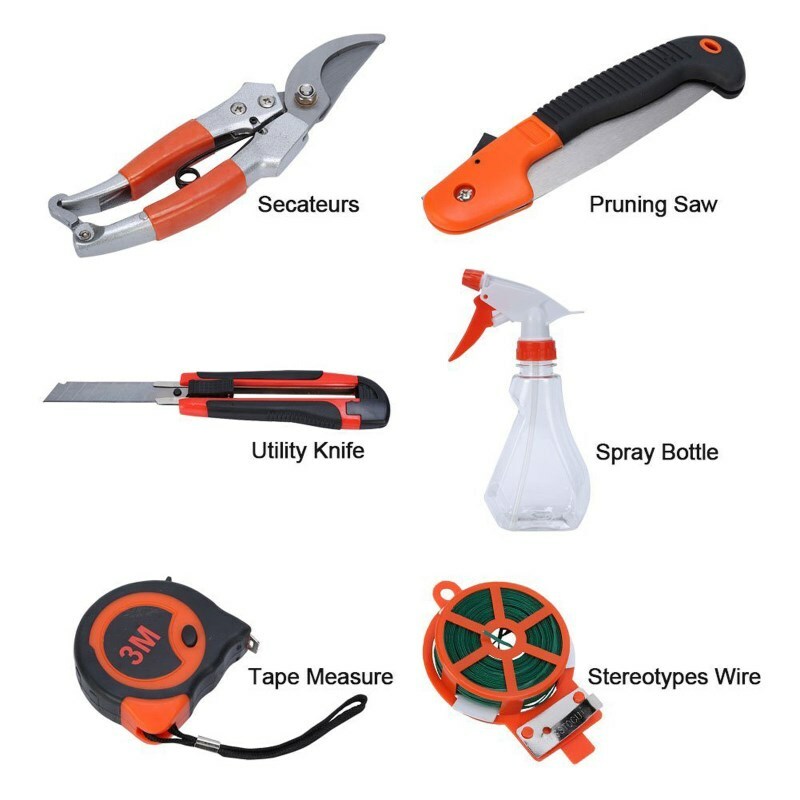 Gardening in the fresh air and sunshine is a real stress-buster when you have the right tools. 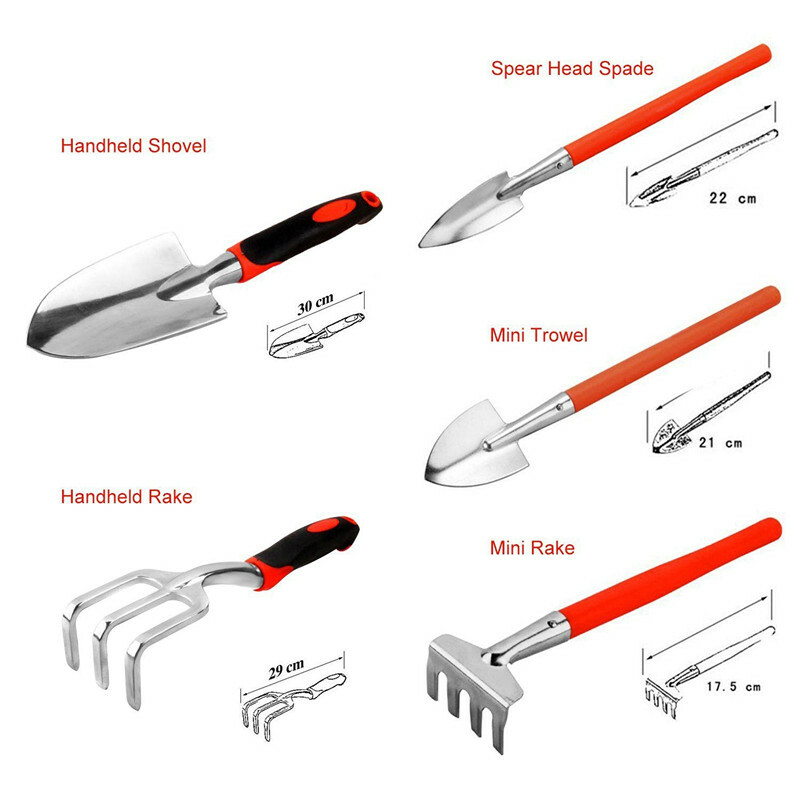 This OUTAD 12-piece Garden Tool Set is perfect for all gardens and indoor plants. 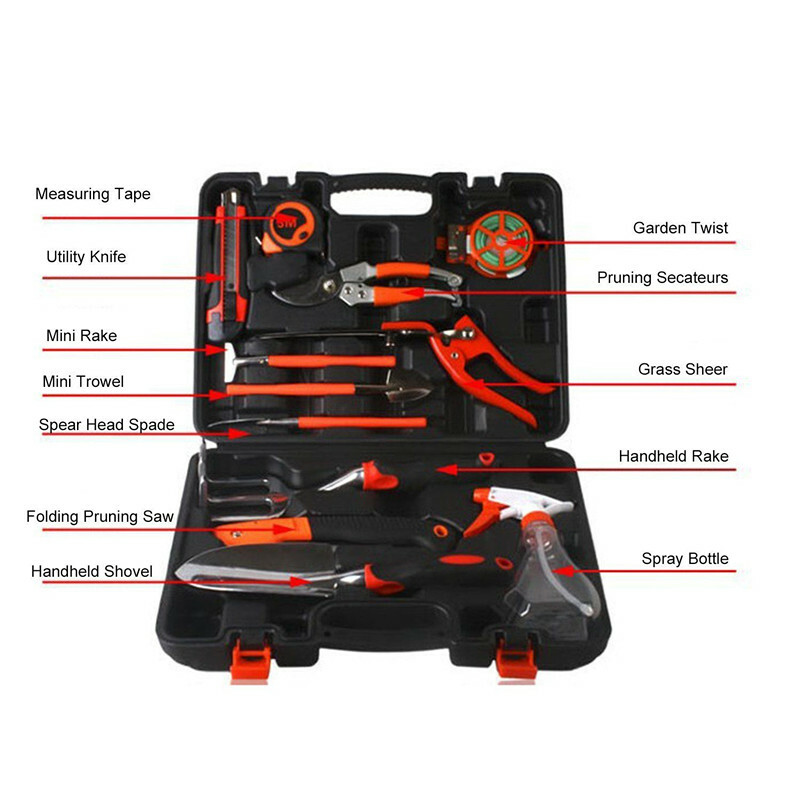 The durable carrying case holds the tools securely in place and it’s convenient for storage and management.The durability of aluminum combined with great rubberized hand grips makes these hand tools pragmatic for a variety of garden work. Please feel free to contact us by following the message, if you have any specific requirement or any questions. 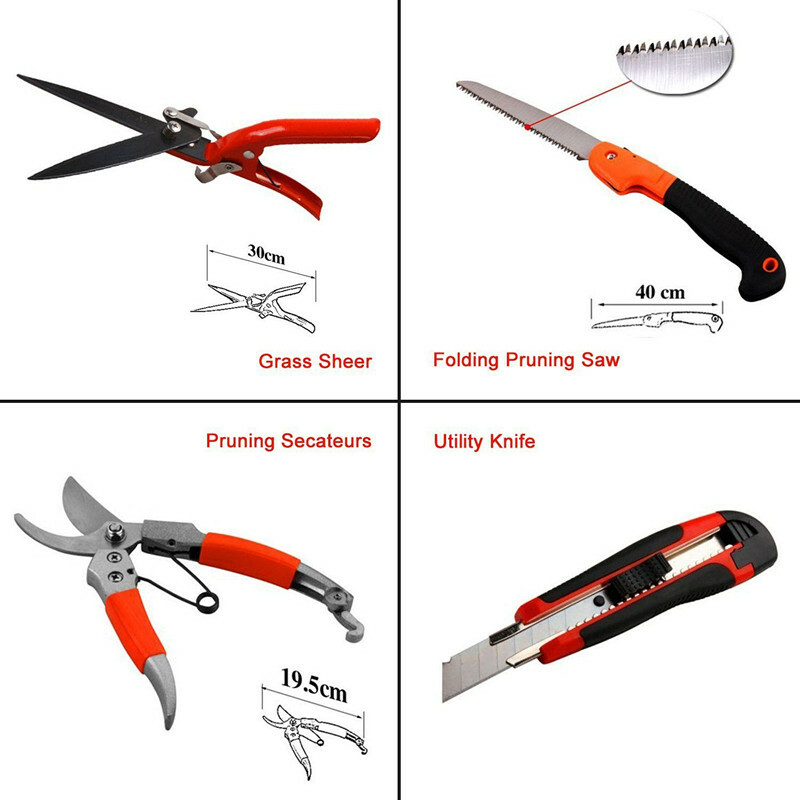 All your concerns will be responded within 24hours (not included Saturday and Sunday, and Public Holidays in China). 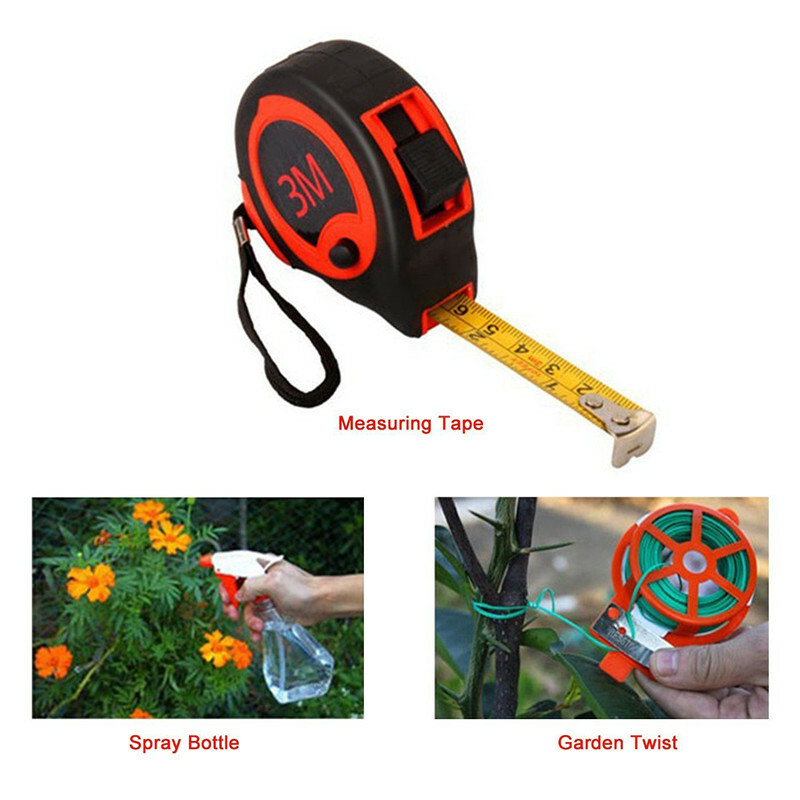 Please do not leave a neutral or negative feedback without contacting us. 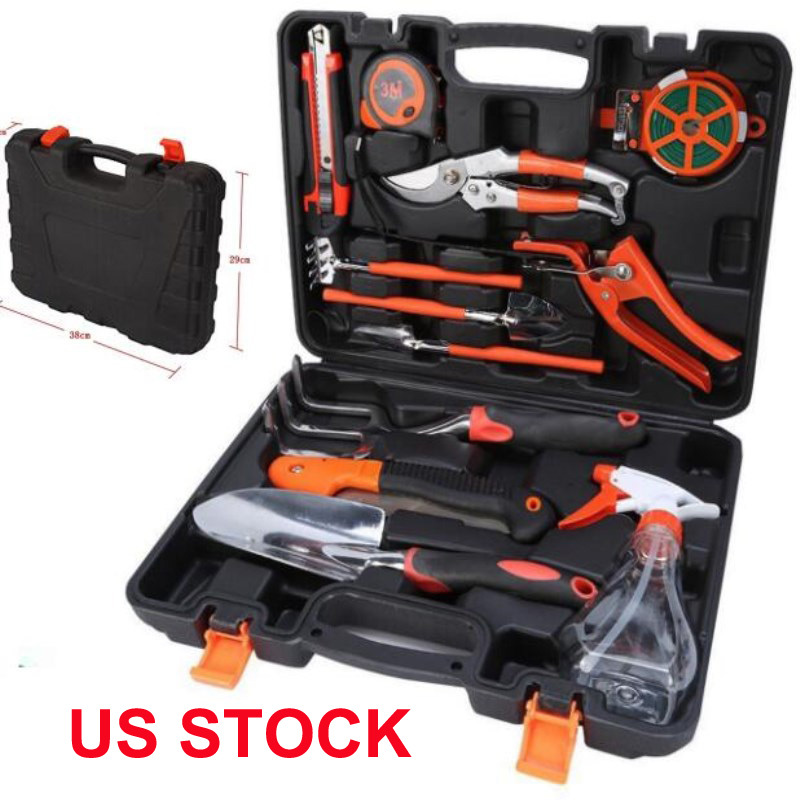 We will try our best to solve the Problem.